Babbalucci's harmonious fusion of old world and new world flavors, encapsulates nostalgia with contemporary elegance. 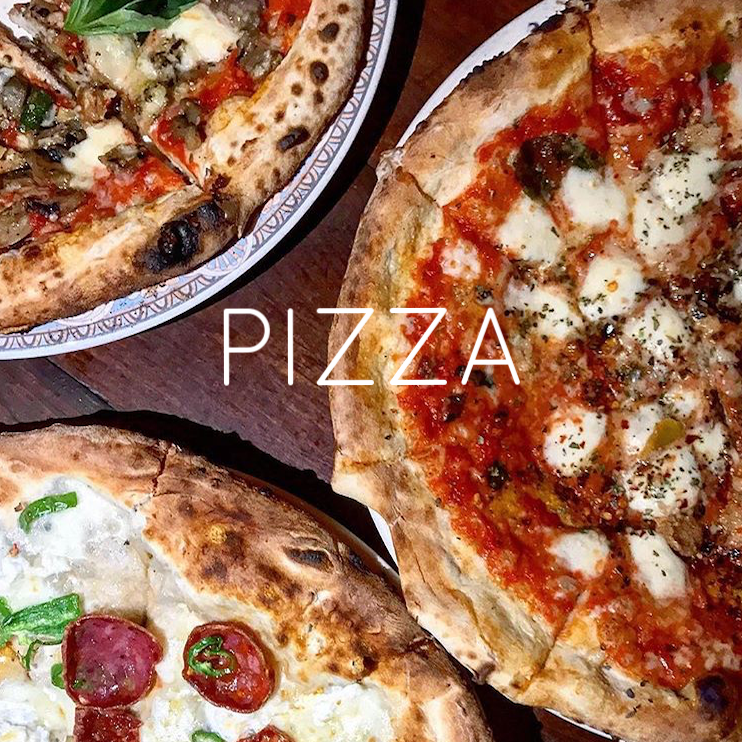 Curated by Executive Chef and Co Owner Andrew LoPresto, Babbalucci's menu consists of Wood Burning Oven Pizza, delectable pasta's and scrumptious antipasti handcrafted from fresh local ingredients. 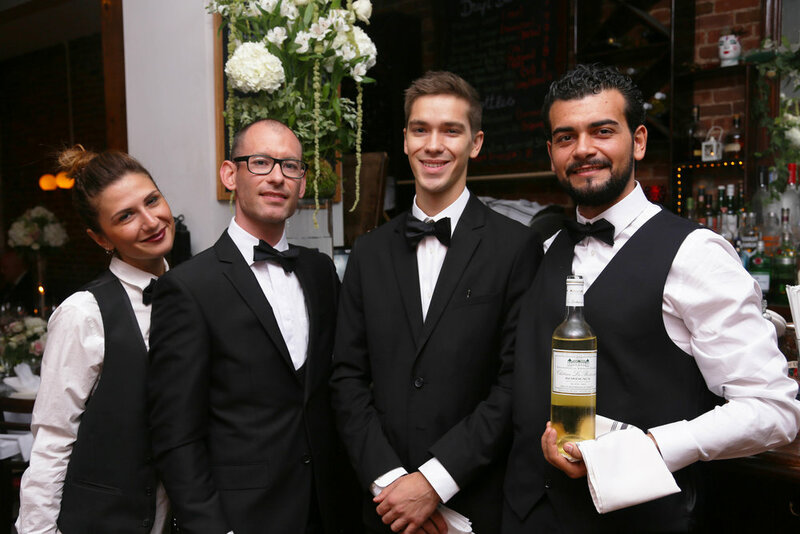 Guests are treated to a well- rounded collection of wines, hand-picked by our in-house sommelier and house-crafted cocktails created by Enzo Cangemi and Bruno Molfetta that effortlessly achieve complex simplicity. In our continuous efforts to create the perfect atmosphere, culinary innovation and Art collide at the Art & Music events we host, showcasing local Harlem talent. Give us a call to place your order. Alternately, you can order with us via GrubHub and Eat 24. Did you know that Babbalucci teamed up with Harlem Grown in order to grow fresh, organic, locally sourced produce in their urban garden? We are currently growing basil and can't wait to grow more produce! The kids from Harlem Grown learned how to make their own pizza's and brought their own locally grown veggie toppings! With the assistance of Chef Andrew LoPresto, the children were able to make perfectly rounded pies featuring their Harlem Grown basil and arugula! 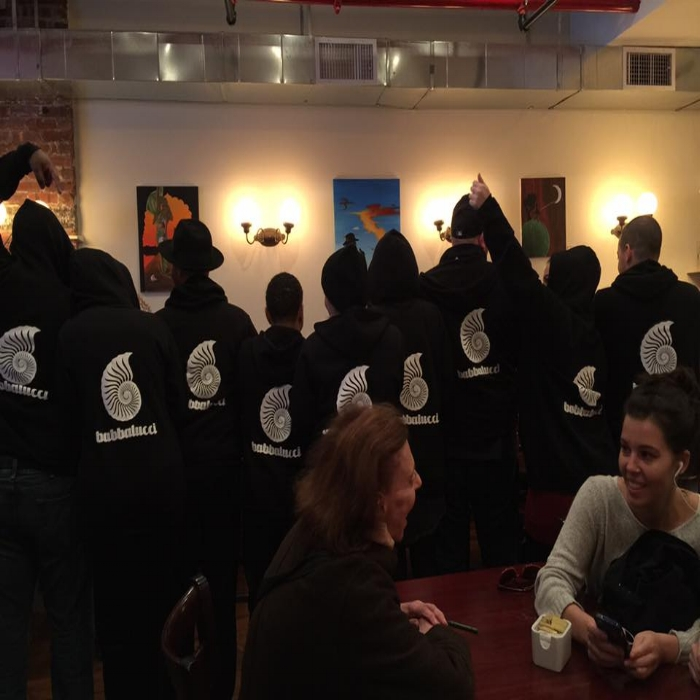 Babbalucci has partnered with Harlem Grown & Harlem Park to Park to start WE: Women’s Empowerment of Harlem. Our mission is to empower women and their families, located in central Harlem by providing mentoring and education in nutrition, health, wellness and career development. 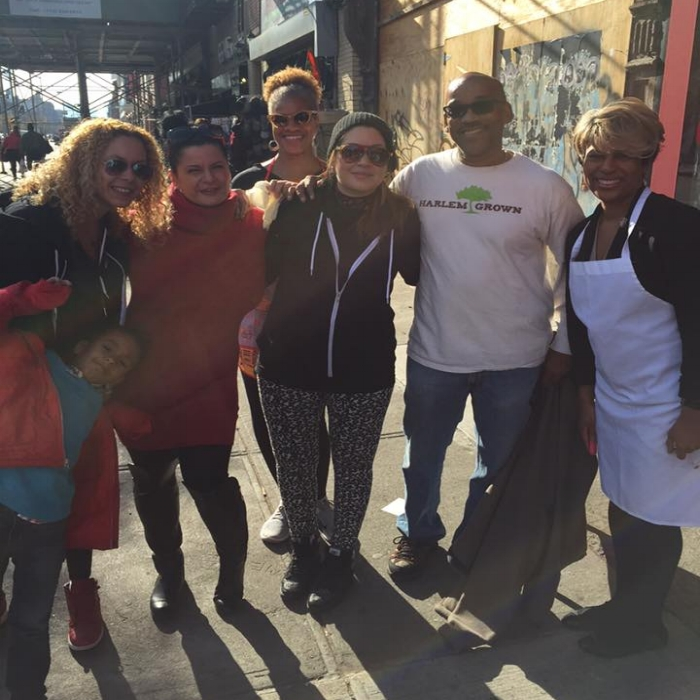 On Thursday November 26, 2015, we served families from the Women & Children’s shelter that houses 900 people. 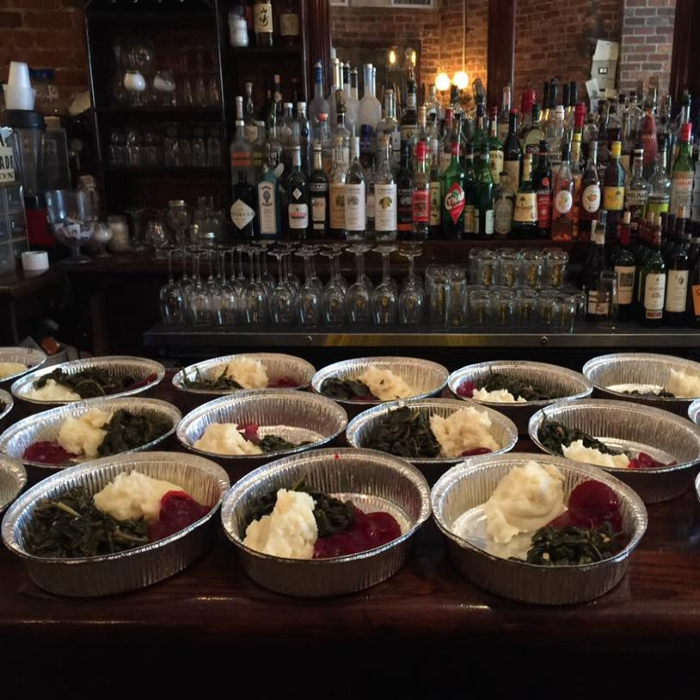 We cooked over 20 turkeys with sides, and fed people from the community from 9am – 3pm. 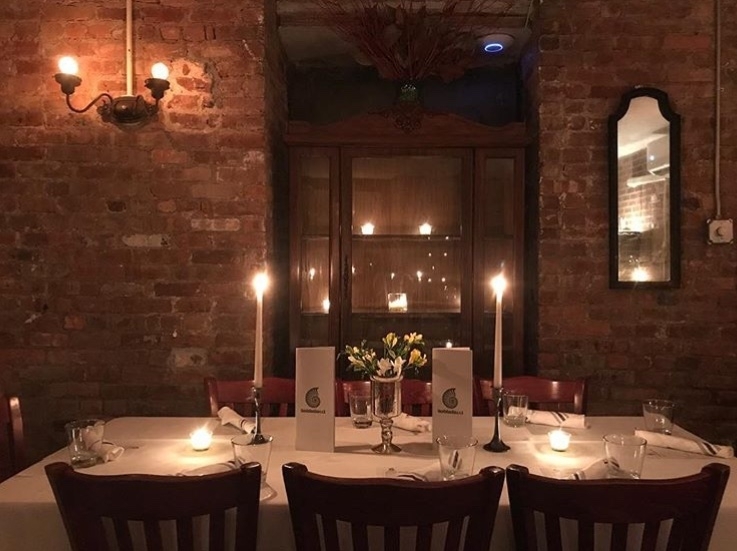 Interested in hosting your event with us here at Babbalucci? Our private wine cellar is now open to the public to use for private events. The restaurant is also available to hire for a private events. For more information, please contact us at events@babbalucci.com. Babbalucci offer catering delivery as well as fully staffed catered events. Whether it's food for a work meeting or a 3 course dinner for a large wedding, we can create a custom menu to meet your needs. Take a look at a few of our options on our catering menu. If you would like further information, feel free to send an email to events@babbalucci.com. To make a reservation, please call the restaurant 646 918 6572. Alternatively, you can complete the form below and a member of our team will be in contact to confirm your reservation. On Friday and Saturday nights, dining may be restricted to 2 hour limit. A member of our team will contact you shortly to confirm your reservation. Want to stay informed on all things Babbalucci? Join our mailing list to receive information about upcoming events and promotions! For any inquiries, please give the restaurant a call where we would be more than happy to assist you. Alternately, you can complete the form below and someone will be in contact with you within 48 hours.